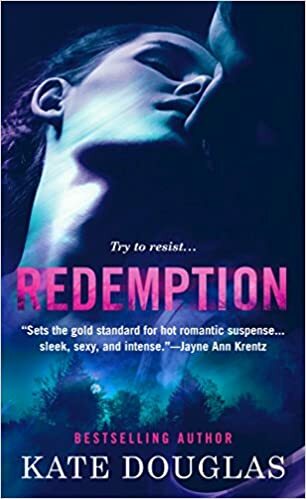 Ah, Jeannie, you have no idea how I was absolutely DYING to say something about the communication thing, so I’m really glad you had the time to read Redemption. And I’d love to say it was part of a planned story arc, but for that I have to credit the muse. I rarely know what’s going to happen when I start a book, but somehow the stories generally come together. I’m convinced there’s a “lizard brain” that’s totally primitive, working in the background all the time, keeping track of the crap the conscious brain is up to. In my case, if I’m lucky, they occasionally trade notes. Thanks so much for the great review, and mainly, thank you for enjoying the story. I think I got way too attached to Ben and I really wanted him to find his happily ever after. And yes, you will see how Mandy and Marc work things out in Awakened, though their story is totally different than what’s been going on so far. And that is ALL I’m going to say about that! Thanks Kate. I am amazed how how authors write – do they plan a whole series in detail? a rough outline? if they don’t plan then how do they link back things that seem as it they were planned? How on earth do they keep track of the characters – who said what, and where, and when and why? I’m in awe of you. When I can’t sleep I have a few shots at “writing” a story, but I never get very far, clearly don’t have the “lizard” brain!! I didn’t really think I’d love Ben so much from what we knew in last book, but then you authors always do that to me, pull me in and make me look at the circumstances of what happened from another side, and of course I soon fell in love with him. Marc and Mandy I already love – looking forward for what you cook up for them.